World leading electronic manufacturer, Sony Corp, revealed that it will bring to consumers the world’s first television that based on Organic Light-Emitting Diode (OLED) technology. The great thing about OLED is it size and weight. OLED is so thin and light until you can even place it on a plastic film. Besides, OLED panels are also energy efficient. 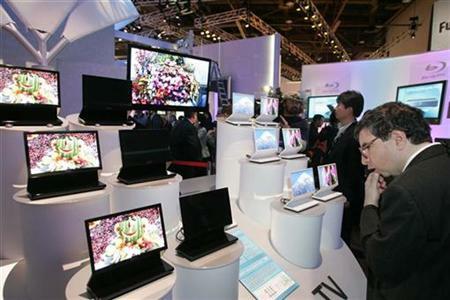 With the emergence of OLED into TV market, it will definitely pose a strong challenge to LCD and Plasma. Size always does matter! The Tokyo based company put a very high hope on its first OLED TV. Sony wants it to be the symbol of the revival of Sony’s technological prowess. According to Sony, it expects the upcoming 11-inch OLED TV with a thickness of 3mm to sell for $1,740. The price targeted by Sony is almost as high as retail prices for some 40-inch LCD models. More on specification and technical details on Sony OLED TV.